The following is not a complete list of changes. I am happy to hear suggestions, concerns, or any kind of feedback. This is an ongoing personal project that started as an attempt to bring back the fun of Wargame:ALB's combat while incorporating the newer systems in Red Dragon. Years, and several overhauled systems later, the scope has far exceeded the original intent, but I'm extremely happy with how it turned out. This was designed primarily with Coop PvE in mind and considerations towards the campaign, focusing on "believability" as opposed to "realism". Gameplay takes priority, though it should still feel authentic. - (All) All decks now require a National/Coalition and Specialization. No general decks. This is the core of the mod and still very much ongoing. 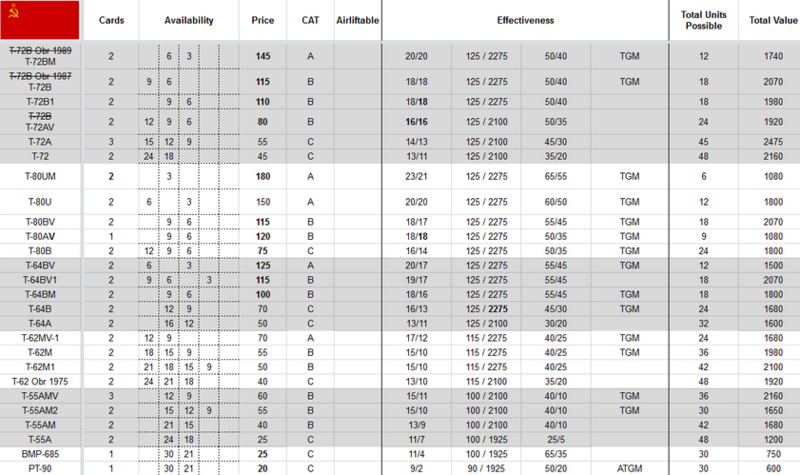 Here's an example from my spreadsheet to get an idea. ATGM dynamics have been vastly improved taking into account unique technological characteristics of individual missiles. I'm extremely satisfied with the result in gameplay. 2. "Autonomy" was replaced with "Mean Time Between Maintenance". Ground units will be able to go twice as long before refueling. Because of the way the pathing system works, the closer road speeds are to off-road speeds the more often a unit will off-road. This results in units spreading out when fast-moving if there isn't a direct road route, which is far more visually appealing, tactically sound, and enemy AI even become a little less predictable. 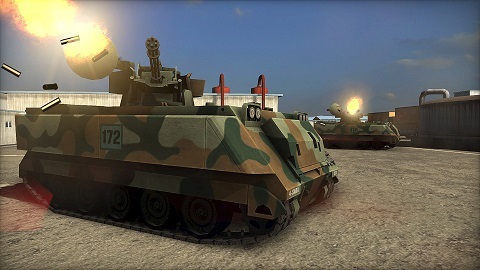 A drawback is that the fuel system in the game is based on time, not distance, so faster units are more fuel efficient. I've decided to replace "Autonomy" with "Mean Time Between Maintenance", which considers any kind of non-combat related maintenance, to justify doubling ground unit autonomies. Every command unit has had its price reassessed based on a set of rules I created. Not intended to be a comprehensive changelog, only highlights. Its been two years since I started this project and I can't remember what vanilla stats are nowadays. US in vanilla Wargame felt very stale. 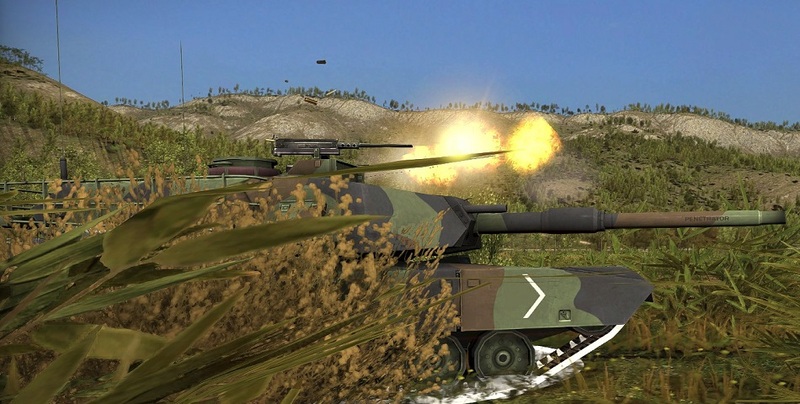 Many units were intentionally left outdated while others seemingly tried to compensate as powerful superweapons with controversial gameplay effects. The focus of my attention here is to rework the infantry, armor, and air tabs, removing or updating units to distinguish each unit's role, represent national doctrine, and remove the clutter. France has one of the strongest motorized decks in the game, however it suffered due to the meta game of armored/mechanized pushes. While I don't believe I can resolve this entirely, I did make some small changes for balance and consistency. Combined with my ATGM changes, I find them usable again. Germany has one of the strongest mechanized decks in the game but still feels very incomplete on its own. Many units were holdovers all the way back to European Escalation, never being updated to the Red Dragon timeframe. My goal was to fill in some of the gaps and relieve the disparity between German unit selection and more recent national additions. Most individual nation's changes are too short for their own section so the highlights are compiled here. 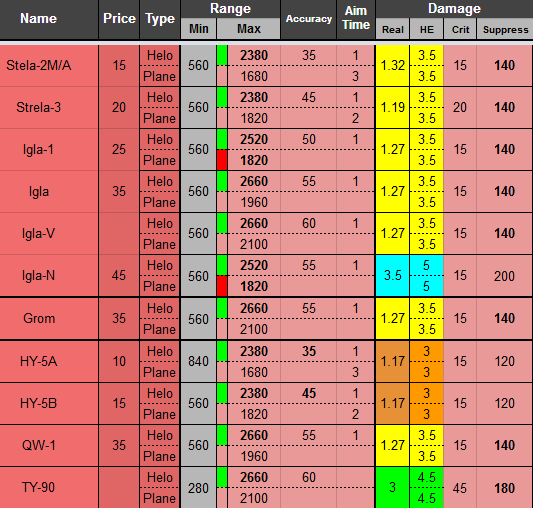 All nations follow a similar pattern- Unstabilized obsolete MBT's removed or moved to vehicle tab, units repriced, a loadout change here and there, all small steps to making the game a little better. I gave South Korean tanks the best possible ammo for their timeframes. This is a consideration towards the campaign and gives them the flavor of good firepower on less optimal chassis. I find Israel to be an exceptionally interesting mix of equipment, but I feel like Eugen made some questionable balance decisions and missed a few opportunities. I feel like I've spent more time researching Soviet technology and doctrine than anything else since I began this project. That said, the USSR in Wargame is very poorly represented, as if it were forced into NATO doctrinal ideas and then forgotten about after Airland Battle. I've attempted to revitalize its unit selection, deck compositions, its equipment, and to resolve inconsistencies; thereby better reflecting the fully mechanized, firepower doctrine of Cold War Russia. This is currently finished except for a bug which is yet to be resolved. Certain units will not appear when entering a match, even though the units appear in the created deck and the armory - only for new decks except "Tank Regiment". 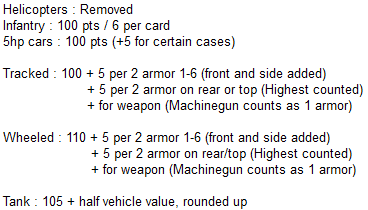 -For now, vanilla decks (armored, motorized, etc) reflect my new decks in unit selection. This is still being worked on regularly. Please comment with any ideas or constructive feedback. Thanks to the community for providing so many awesome guides and tools! Last edited by Sireyn on Fri 1 Feb 2019 16:17, edited 50 times in total. 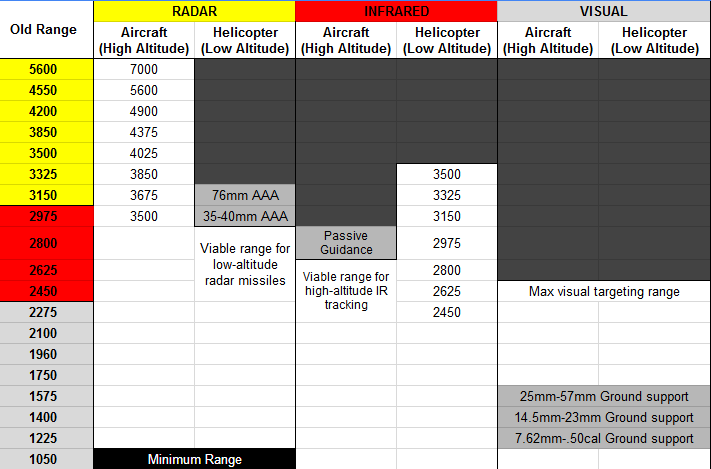 Cut back all gun ranges with one increment to give real role of ATGM on battlefield and modeling the RL ACC of guns. 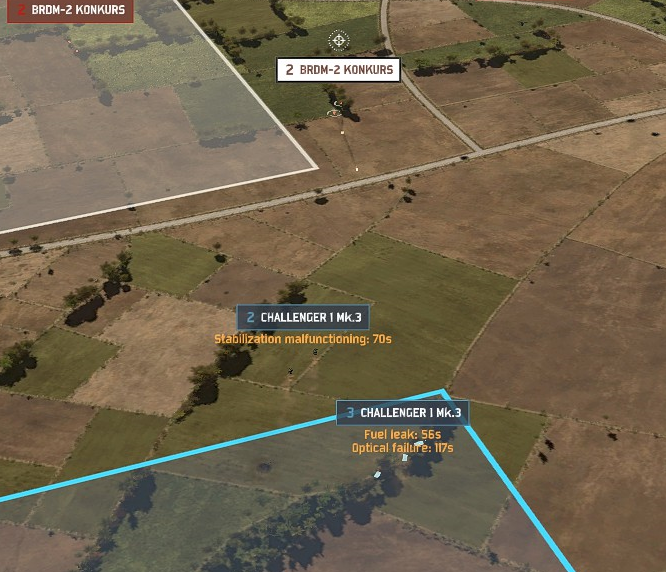 The current CTH from a moving tank against a moving target is simply funny. In RL the CTH in case is theoretical. You may find ATGM's are far more usable. Above all, their noise was reduced so they can fire from cover without getting instantly spotted. Their critical chance is very high so they tend to disable optics, tracks. etc even with old missiles. Due to map compression I think the current gun and atgm ranges are the best balance. 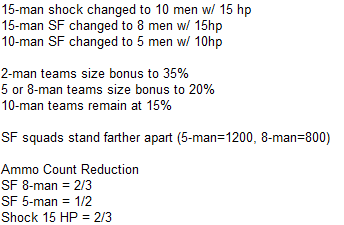 The next step would be to increase tank aim times and decrease stabilized accuracy. I generally agree with you. I just don't want to start setting values arbitrarily. I want some sort of technological basis to assign values to aim time, reload speed, and dispersion. For instance, according to my knowledge, most older Russian artillery relied on its commander to receive fire control inputs, as opposed to modern batteries with built-in computers in every vehicle. - A Gvozdika might have a very fast reload, moderate aim time, and cheap ammo but dispersion increases dramatically with range. - An Msta might have a moderate reload, fast aim time, moderate ammo cost, and dispersion stays mostly the same across its entire range. I want to take into account the minimum size of a barrage to be effective, the supply cost of an effective barrage, and the investment cost of getting a usable sized battery on the map. Sadly because of decks system and veterancy you cannot bring back soo many things from WG:ALB which was better. The deck system is simple enough to modify. You can add and remove nations from coalitions and define valid deck types. I even removed "Armored" as an option for France since it became redundant with "Mechanized". Generally, stat-wise, if you can imagine it you can do it. I suppose it would even be possible to make everything identical to ALB, though that's not my intention. Last edited by Sireyn on Fri 7 Jul 2017 05:20, edited 1 time in total. If you set much higer range for HAWK, Kub, Buk, Neva and other SAMs you should consider restrict their avail and also their price. I reinstalled the game just to give this mod a try. I like it. If I might ask, though, why is favor always given to the M60A1 ERA over the M60A3 in terms of ammunition availability/fire control? The M60A3 TTS (the majority of the M60A3s produced) incorporated a ballistic computer which the A1 never received, including after the RISE update. While the M60A1 (Rise) (Passive) (which is what I assume the M60A1 ERA is supposed to represent) should be better armored by virtue of its application of ERA tiles, the A3 should be in the same range bracket as the A1 ERA while having the same ammunition and superior accuracy. I know it's a really little thing, but it's just been setting off my OCD since 2014, and no mods have really addressed this. 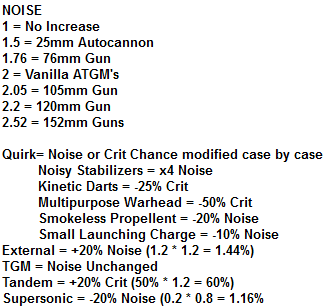 I'm not asking for the M60 line to be buffed, just for stats to be switched at most. 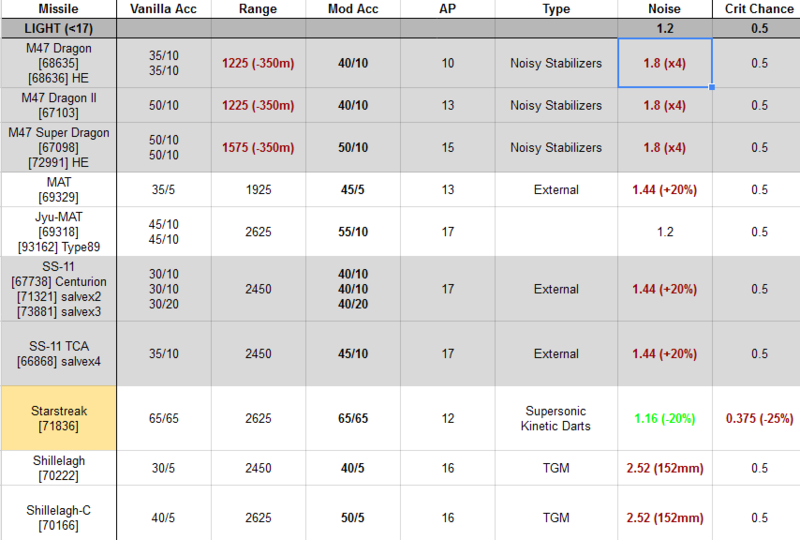 I think the M60A1 ERA was an artificial balancing decision by Eugen, and one I haven't looked into closely from a technical standpoint. If you know of any references I could look at to compare M60 models, I'd be happy to adjust the lineup. Awkwardly, most of my sources on the matter are literary and I don't want to just throw a wikipedia link at you. I'll try to find some comprehensive information on the internet. By no means would I want you to release a whole new version just for this silly change. I was just wondering if there was a reason or, perhaps, something that I didn't know that was leading to Eugen and every modder to assume the ERA/RISE passive was a more up-to-date vehicle. My only guess is that it was used by Marines in Desert Storm, so it was subject to hasty upgrades while the older M60A3's were replaced by Abrams. If you come across any good references then these are exactly the kind of changes I like to make. I have a side hobby of collecting technical and doctrinal resources. I was not able to find any reputable online sources that look any more professional than Wikipedia. So when I get home in a few hours, I'll just post a selection of pages out of R.P. Hunnicutt's book on the subject regarding A1 and A3 upgrades, life extension programs, etc. Evidently I can only attach three files, unless I'm doing this incorrectly. All pages missing from the order are either pages with nothing but pictures, or about the M60A2 which it outside the scope of this discussion.